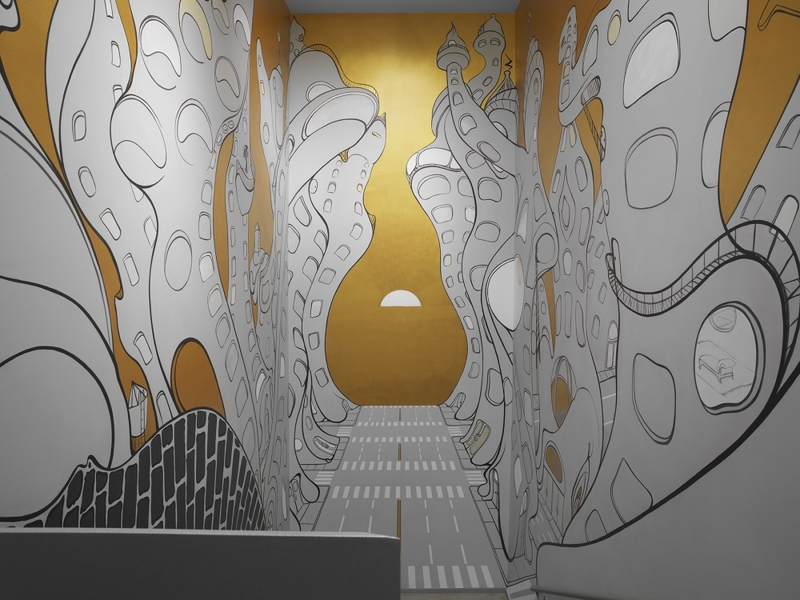 As part of its ongoing series of commissions for the Stairwell, The Drawing Center has asked New York artist Inka Essenhigh to create a site-specific wall drawing. Essenhigh’s installation will be the third in the series, following Gary Simmons’s Ghost Reels (2016–18) and Abdelkader Benchamma’s Dark Matter (2015–16). An artist whose influences range from Hokusai to Surrealism and Byzantine icons to graphic novels, Inka Essenhigh is known for her hallucinatory scenes that weave narratives about everyday life with otherworldly and science-fiction themes. For her panoramic installation in The Drawing Center’s stairwell, Essenhigh will illustrate the story of an imaginary contest staged on a New York City street in which new glass-and-steel condominiums with human attributes engage in a showdown with the city’s more conventional buildings. Drawn directly on the wall, Essenhigh’s anthropomorphic buildings will encircle the central motif of the drawing, a golden sunset that replicates “Manhattanhenge”—the effect of the sun when aligned precisely with the city grid—which has long been a mythic part of the city’s monumental architecture. 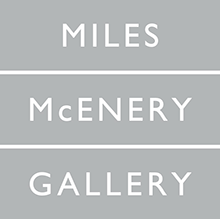 Inka Essenhigh: Manhattanhenge is made possible through the support of Miles McEnery Gallery and Stacey and Rob Goergen. Image: Installation view of Inka Essenhigh: Manhattanhenge. The Drawing Center, New York, 2018. Photograph by Martin Parsekian.